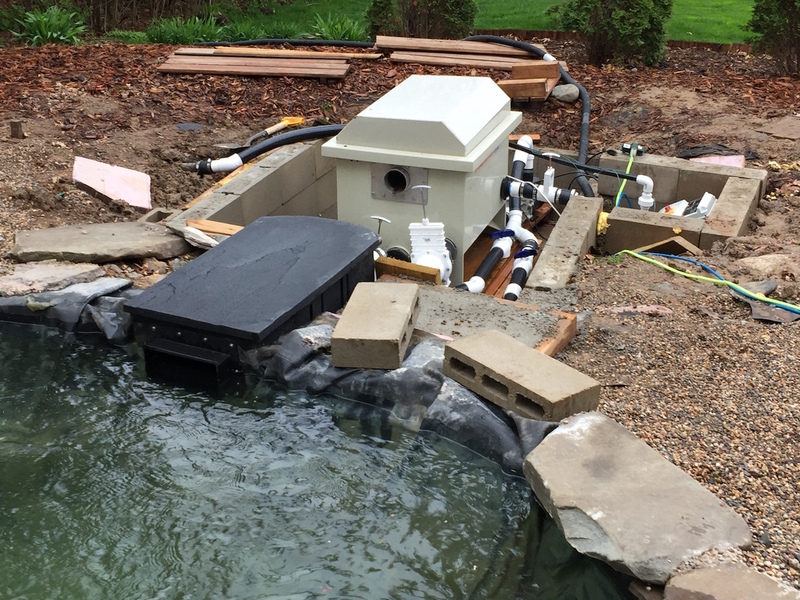 This year we are concentrating on beautifying the equipment pits, installing some new skimmers, adjusting the bottom drains in the upper pond, changing how we aerate the ponds and having a shade feature built for the lower pond. I’ll be posting photos with captions describing the work throughout spring, summer and maybe fall. 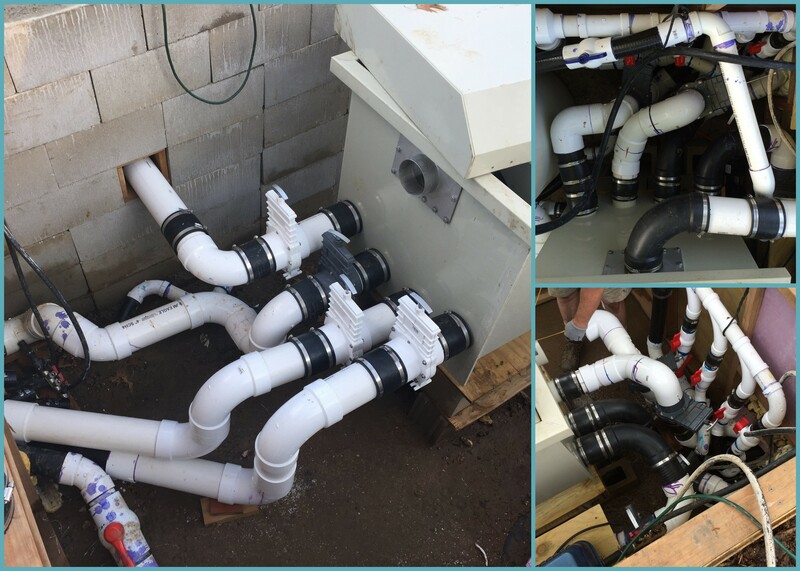 3.13.2016 Clean upper pond, raised bottom drains, waiting for the pipe work to be redone and hooked up. Hoping to put koi in here by the end of April. 4.12.2016 It’s 8:00 pm, do you know where your pond digger is? Mine is busy working on the footings for the new deck that will go over the upper pond equipment pit. 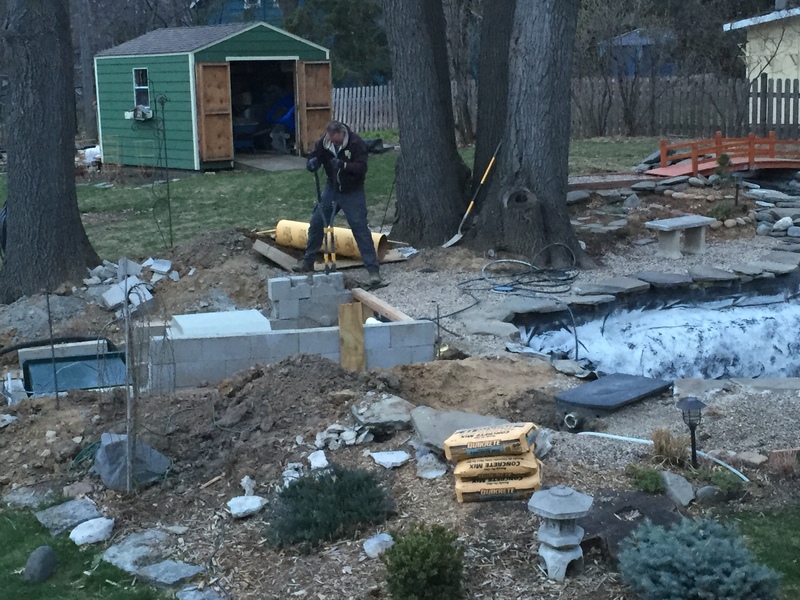 4.23.2016 This weekend we’re hoping to get the lower pond re-started. Some new concrete has been poured next to the new skimmer and the equipment pit has been tidied as the connections have been made. 4.23.2016 We took down a giant dirt pile and replanted some hosta, grasses and a juniper. We poured a little concrete wall to keep the dirt out of the equipment pit. 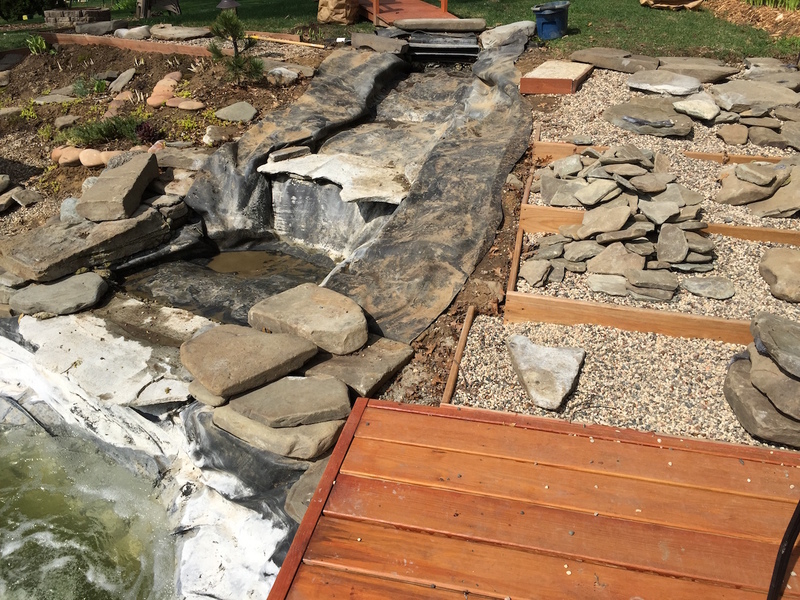 We’re going to be changing our upper pond’s waterfall a little bit this year. Different rocks in the bed of the waterfall and maybe a slight course change. 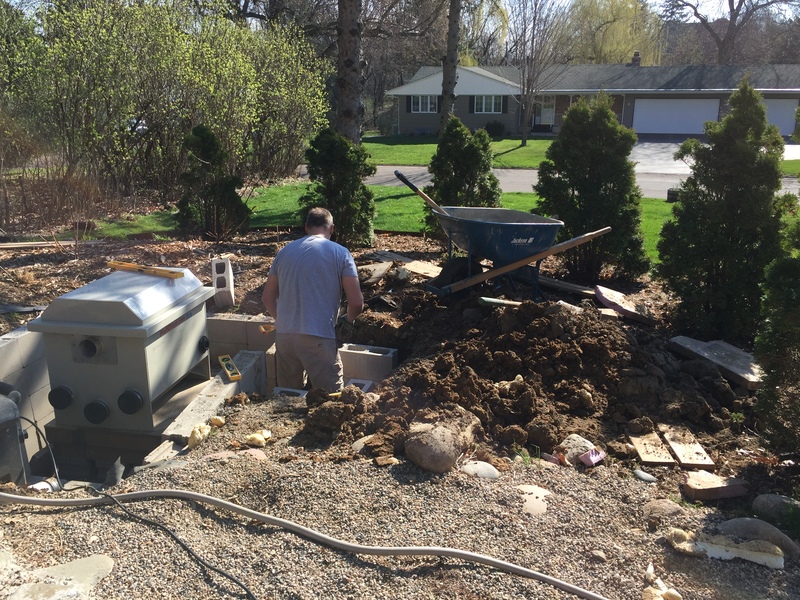 4.24.2016 This is dedication – today it rained all day and the pond digger was out there hooking up the equipment to make the lower pond run… 9:00 am to 8:00 pm!! Photo Set 1 – building the upper pond’s equipment pit cover. 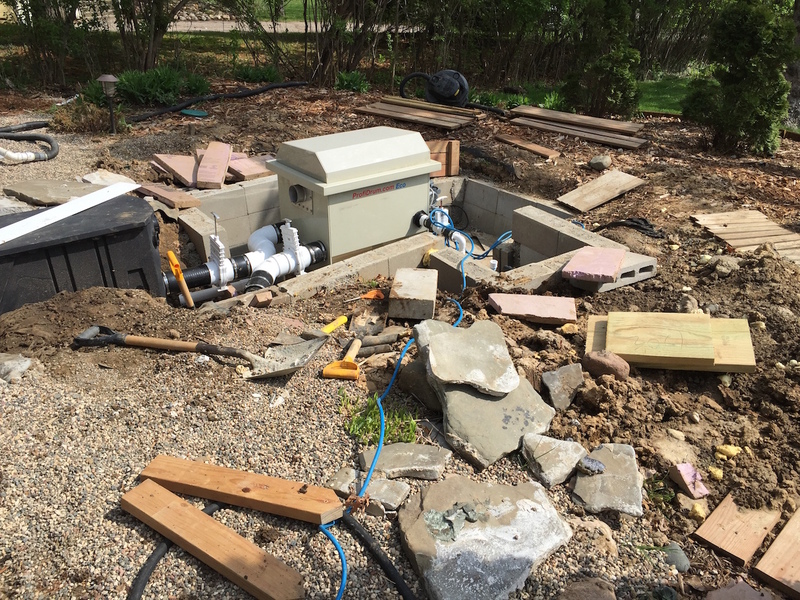 Photo Set 2 – building the upper pond’s equipment pit cover. 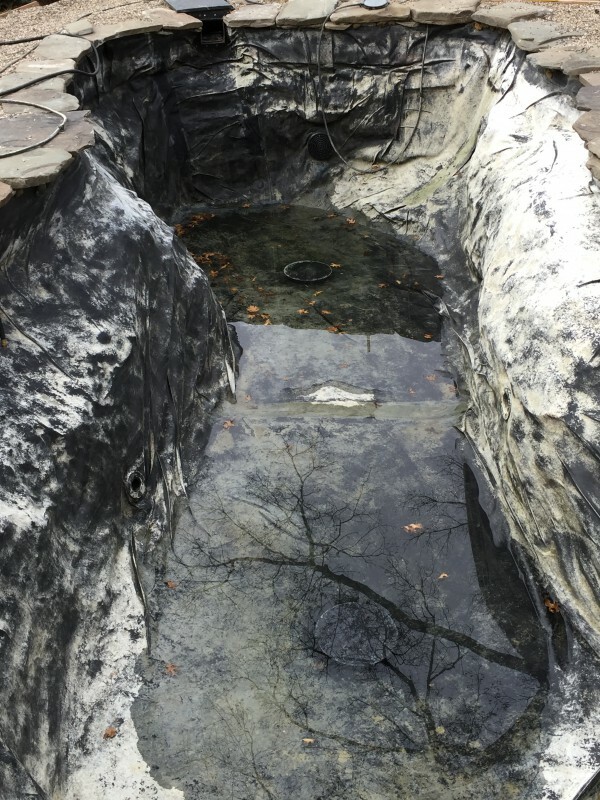 Photo Set 3 – building the upper pond’s equipment pit cover. 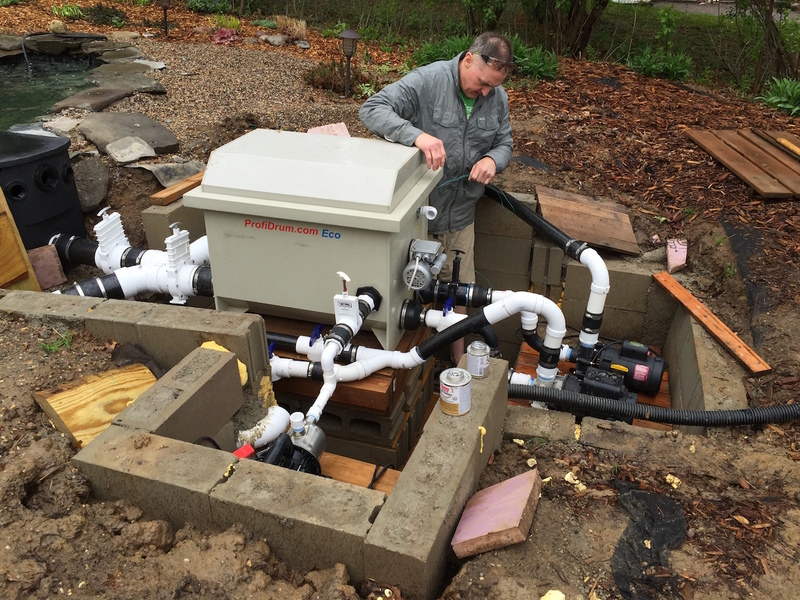 The filtration equipment structure is done and we have planted a number of new plants suggested by the landscape designer. The first point of the shade element for the lower pond have been installed, squared and braced. The braces may come down over the weekend and there are a lot of plants to be put into the ground. 6.17.2016 TJU construction has been doing a lot of projects around our property the last five years. 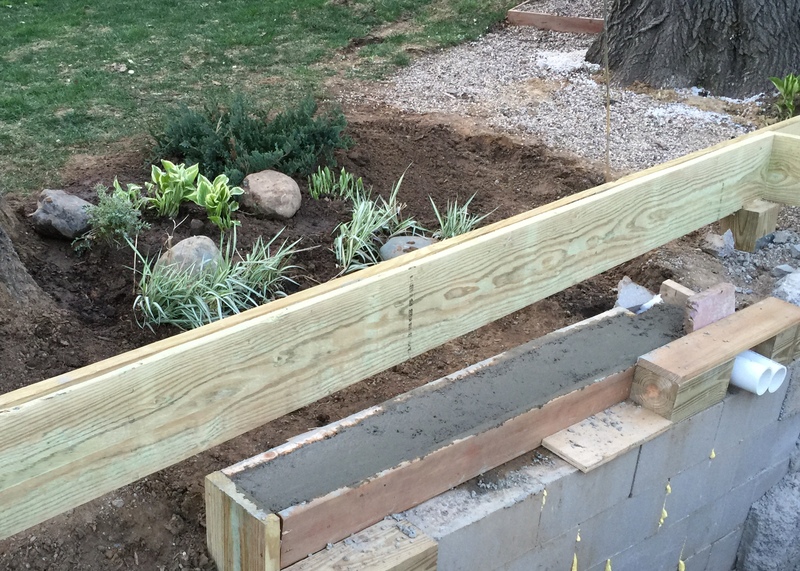 While I don’t know if he loves these garden projects – he does a great job! 6.17.2016 Bamboo screen completed in less than an hour. June 29, 2016 11:00 am – starting work on our shade element. The new shade element – inspired by a koi fin and Japanese kabuki theater. The garden dividers also serve a secondary purpose of hiding equipment. The pond digger calls them his “don’t ask, don’t tell” walls. Taking a photo from the roof is like soft lighting on portraits — you can’t see all the weeds I have to pull!